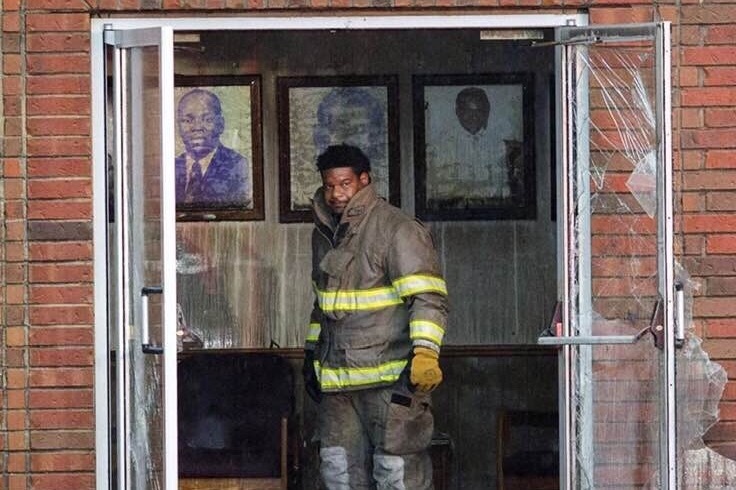 My name is Tenishia Toussaint and I am the Granddaughter of former pastor, the late Rev James Toussaint and niece of the current Pastor, Gerald Toussaint, of Mt Pleasant Baptist Church that was recently burned down this week in Louisiana! The church has been out family’s church since I was a toddler and has been the heart of our family before my time! 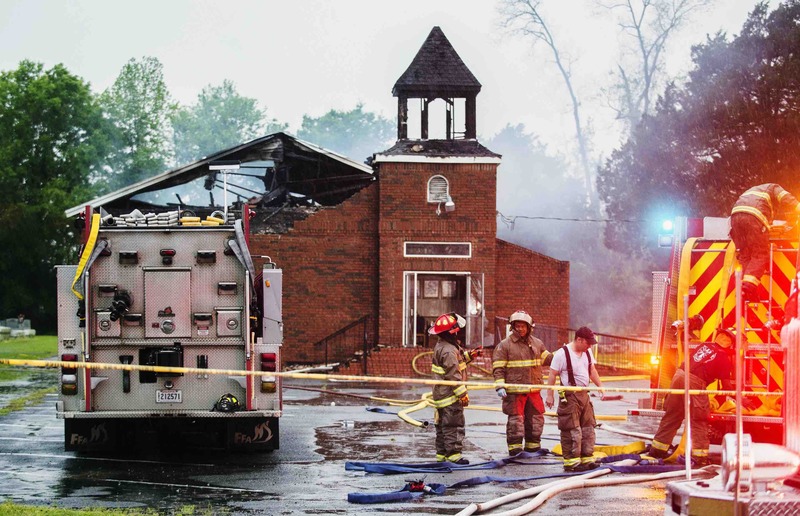 Hearing of the recent fires of several churches within the week in St Laundry parish has baffled me as well as others that are members and those in the community that support these churches ! I am soliciting your help in gathering funds to help rebuild or for whatever the need is to help get this church back up ! Sure the memories and a lot of history is gone but, we could at least help in making more memories and showing that God is still in charge ! Partner with us as we build to rebuild! Behind the fireman are the three photos of the previous pastors with the one on the right being my grandfather the late Rev. J.V. Toussaint. This hurts and has effected our family greatly with all the years of history and memories destroyed by this tragedy.